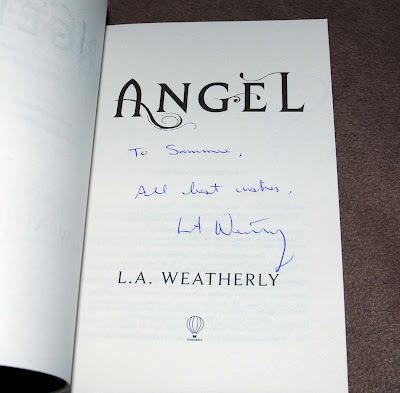 So jealous that you got to meet L.A. Weatherly. I can't get to any of her signings but am loving Angel so far. And how cool does Black Swan Rising look? Can't wait to read that one. Have a great week! Seriously, I'm so jealous that you work somewhere where you not only get to hang out with books all day, but you have authors for signings! Not sure how I feel about the new HP covers... guess I'll have to check them all out up close in store and then decide. I *think* I like them. Congrats on the great haul. I've heard amazing things on Rachel Vincent's Alpha. Happy reading! Wow, I am so jealous of your copy of HP and the Deathly Hallows!! I hope you enjoy all of your great books! 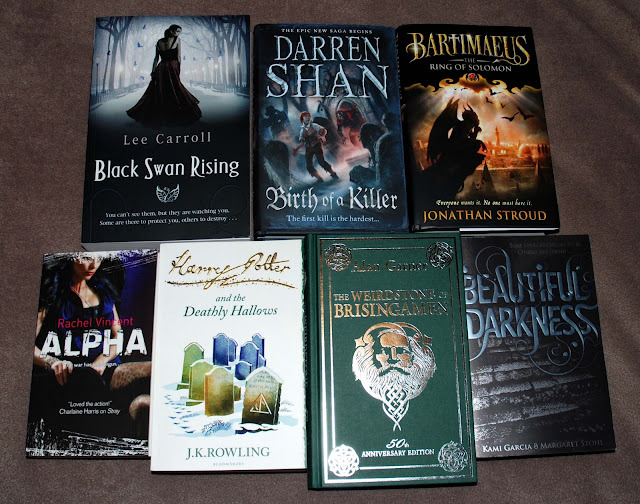 I'm REALLY looking forward to Beautiful Darkness. Black Swan Rising by Lee Carroll looks beautiful. I have not heard of it before, so I am looking forward to your review. Happy reading. I'm reading The Ring of Solomon at the moment. Bartimaeus is hilarious. He is such a naughty fellow (demonic spirit). I love him!